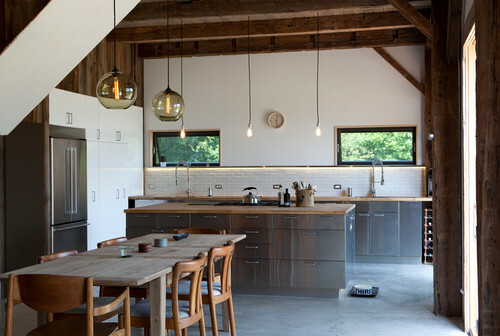 At Kitchen Exchange, we absolutely love kitchens equipped with concrete floors, in particular, polished concrete. This trend has started pretty recently but we expect it to become increasingly more popular within the following years. 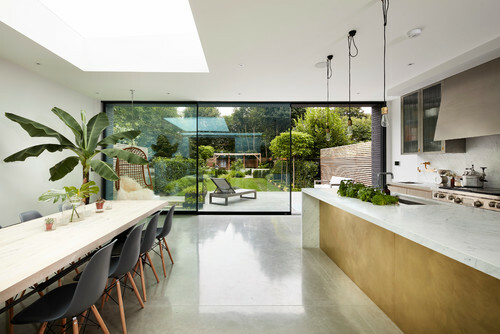 In this blog we will talk about why we adore the concrete floor, plus the benefits and drawbacks and a little portfolio of our favourite examples (thanks to Houzz)! 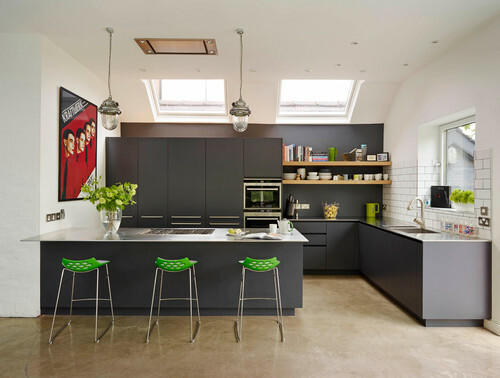 As you will later see in this blog, concrete floors can be used in any type of kitchen, whether that be industrial, contemporary or even traditional. 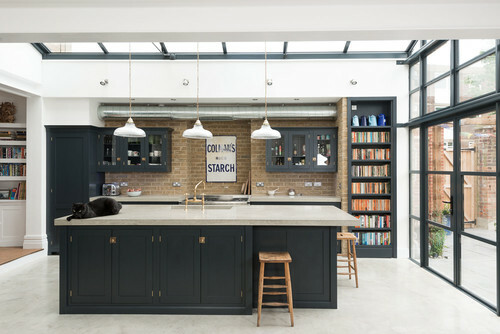 Not only are home owners realising the benefits of having concrete flooring installed in their kitchens, but kitchen brands and designers are also starting to incorporate concrete in their styles and showrooms to showcase their newest kitchens. The concrete can also be painted or dyed to pretty much any colour you desire. In particular we find a polished or matt light grey shade to be the most attractive, as it also works in harmony with a light-to-mid shade kitchen. 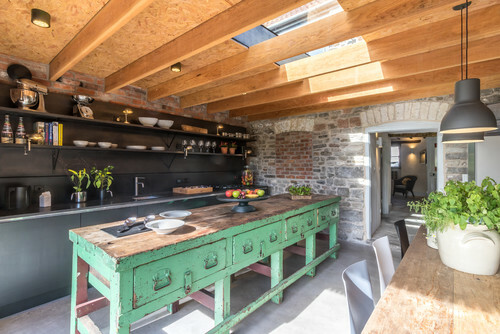 Concrete floors will typically be 100mm thick and you can expect about a week for them to be put into your kitchen. Apart from looking visually stunning, there are many other benefits to having a concrete floor. Because of its structure, it offers unlimited design options to be textured, coloured, polished or stained to however you like. Apart from needing to be resealed regularly, it is extremely low-maintenance and very easy to clean. Concrete as a material is very long lasting and as you know, very durable. Expect your concrete floor to stay in fantastic condition for over 50 years! Another great reason to choose concrete is that it doesn’t contain VOCs which stands for Volatile Organic Compounds which can cause allergic or respiratory reactions in children and potentially throat, nose and eye infections as well as occurring headaches. VOCs can be found in laminate, hardwood, vinyl and other popular flooring types. And finally, it’s one of the most cost-effective flooring options to go for! Of course, concrete is very hard, so if you fall it will hurt, a lot! It can also get very cold during the winter months, so under-floor heating will help you out a lot, but this will increase the costs quite heavily. As mentioned above, it does need to be resealed around every one to three years to keep it in great condition. The process of installation and resealing requires a lot of skill and precision, so make sure you find the right company that you trust. 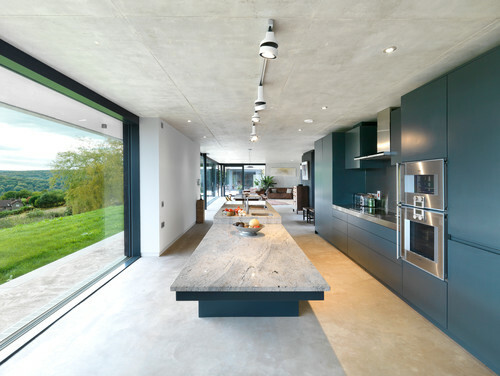 We hope we have inspired you to install a concrete floor into your next kitchen! 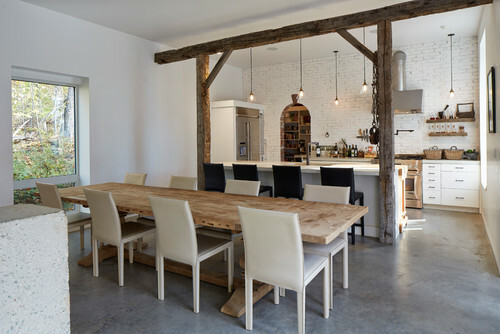 Again, a big thanks to Houzz for the examples.